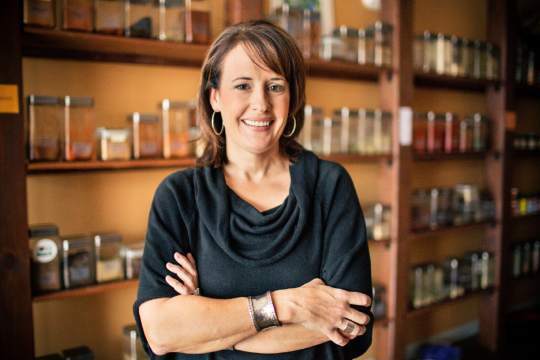 Anne Milneck at Baton Rouge’s popular spice shop offers advice on everything from pickling to cooking with the hottest of peppers. For those who have been lucky enough to visit Baton Rouge, Louisiana, in recent years, you might have noticed the city’s remarkable shift toward epicurean eating. 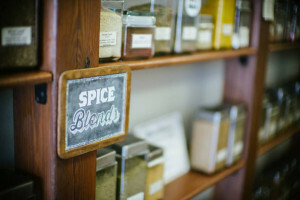 A shining beacon of foodie sophistication is Anne Milneck’s Red Stick Spice Company, which boasts one of the area’s most robust collections of gourmet spices and herbs. It’s clear after a visit to the shop that Milneck is more than a storekeeper, but a true connoisseur of quality ingredients and cooking. She and Red Stick Spice are raising the culinary acumen of home cooks and chefs alike, and they’re not going unnoticed. I caught up with Anne recently to talk shop about Southern cooking and how she’s adding spice to marriages all over town. How does being trained as a chef influence what you’re doing at Red Stick Spice Company? Each spice has a description – I write them all – that includes the history and suggested uses. Each blend description has ideas for how to use it. The website has recipes and cooking tips. I love selling our products, but it’s more important that customers know how to use them. Coffee BBQ rub is of no use if it sits on the shelf. It belongs on a steak! What are some common mistakes people make in seasoning their dishes? For example, under salting, over seasoning, etc. I find the question I answer most frequently is when to season a dish. And the answer depends on what you’re cooking. Mashed potatoes and rice can’t be effectively salted in the end if you didn’t salt the cooking water. Just about every protein — steak, chicken, pork chops — need seasoning prior to cooking and perhaps a bit a time for the protein and spices to get married. A soup or stew, on the other hand, can often be corrected in the end. Just about every day, a little cooking 101 class takes place between me and a customer. This is, without a doubt, the best part of my job. A customer recently told me that I improved his relationship because I taught him how to effectively flavor his previously-bland quinoa, a source of frustration between he and his wife. I don’t claim to save marriages, but I do what I can. Do you have a culinary role-model? I was lucky enough to spend several semesters with Frank Brigtsen and Marcelle Bienvenu. Chef Brigtsen is a James Beard Award winner, and Marcelle has authored multiple cookbooks and worked for Emeril Lagasse. Sounds intimidating, but I always felt comfortable in the kitchen with them. They are both believers in cooking what you know. I was asked to draw from my childhood experiences and cook food that had a history and meaning. 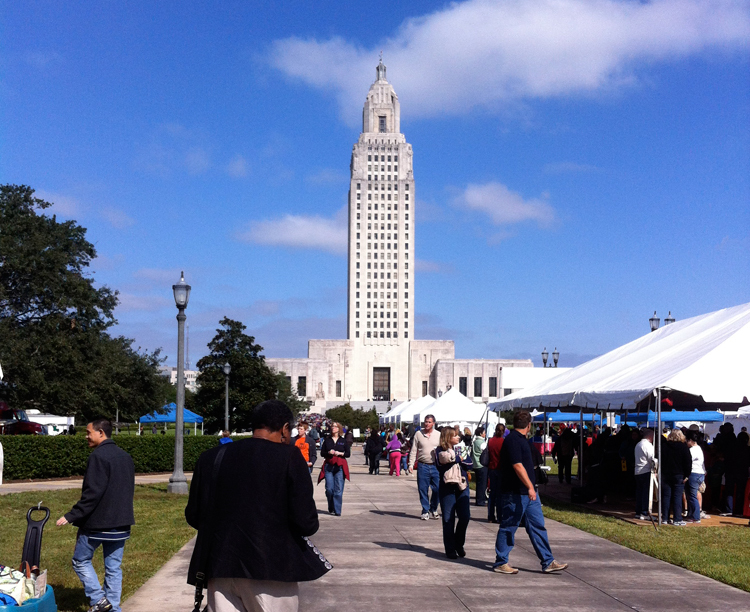 Both Brigtsen and Bienvenu share a love for a commitment to Louisiana foodways. To listen to them share their own family food traditions gave me a new appreciation for where I grew up and the cooks who taught me. It’s no secret that Louisiana is especially fond of spice. Red Stick has an impressive pepper collection. Let’s talk more about peppers and creative uses for them in Southern cooking. Cayenne is definitely king around here, but there are so many other options out there. My goal was to stock a variety of chiles that span the range of the Scoville Heat Scale. Cayenne and Tabasco peppers clock in at about 50,000 heat units, and that’s pretty hot. But it gets hotter around here. We also stock Habanero powders (350,000 SHU) and Ghost Peppers (two million SHU). Yikes. For customers looking for milder flavor, New Mexico is a great choice for low heat and lots of flavor. I love Chile de Arbol (30,000 SHU) for its earthy, fruity notes. It’s lovely in a chili during winter and a great choice for wings on the grill in the summer. A couple of new additions are our Aleppo chile flakes. These Syrian peppers are completely unique — they have a raisin-like quality with sweetness offsetting the heat. I love these on roasted chicken. 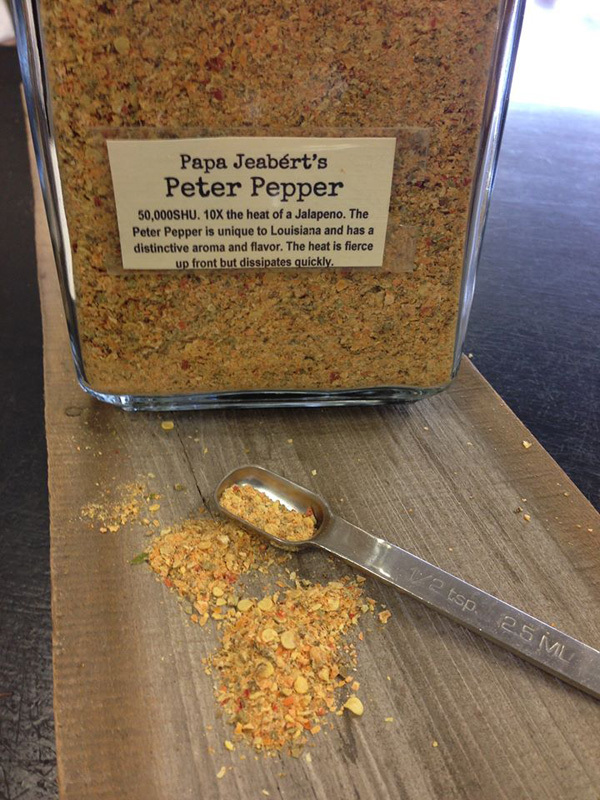 We’re also adding a local pepper, the Peter Pepper, which hails from Lafayette. We’ll be selling the spicy Peter Pepper Powder, but it’s not for the faint of heart. This little guy is double the heat of Cayenne. We like to pickle in the South. What spices and aromatics do you recommend for pickling? I love this topic. 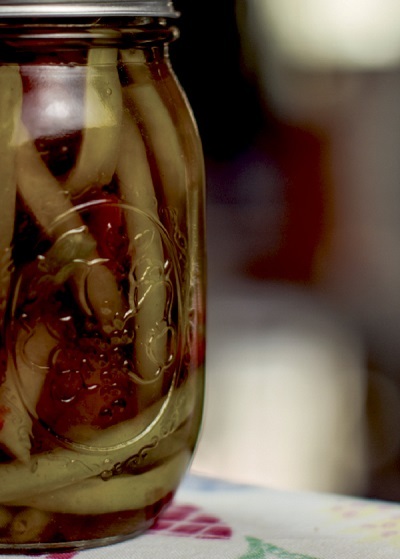 Pickling is so easy, and it’s not just for cucumbers. Squash, zucchini, watermelon rind. Lots of possibilities with the late summer bounty of produce that Louisiana offers. In a basic pickling spice, you’ll find mustard seed, coriander, red pepper, bay leaves, dill seed and allspice — and we carry them all. But that’s just a start. I’ve customized a few blends for customers that have included cardamom, fenugreek and, my favorite, Balinese Long Pepper. 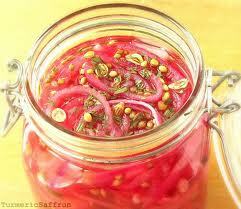 Scroll down for a pickling recipe. Any parting wisdom for the home cook? My kitchen and the act of cooking equals comfort and family and friendship and joy. I won’t allow my cooking mishaps to foul that up for me. I try to encourage customers to embrace the disasters and press on. Tomorrow is a new day with new ingredients and a new shot at delicious-ness. Red Stick’s products, ranging from spices to blends and rubs, olive oils and vinegars and extracts, are available online at www.redstickspice.com, or visit the shop in person at 7970 Jefferson Hwy., Suite G, in Baton Rouge. If you’re feeling inspired to experiment with some herbs and spices at home, try this pickling recipe from the Frank Brigtsen collection, recommended by Milneck. In a heavy bottomed pot, combine all ingredients except for the red onions. Bring to a boil and allow to boil for about 1 minute. Stir in the red onions, cover and remove from heat. Allow the onions to stand at room temp for 5 minutes. Transfer to a plastic container and refrigerate uncovered. Once the liquid is completely chilled, cover the container. Use within one week. Chef Frank Brigtsen developed this recipe to serve as a component on a salad with feta and apples, but these onions have many other uses. Add them to a cheese and smoked meat board or to dress a sandwich for some sweet-savory crunch. Well-written article! Articulate, interesting and makes me want to go right out to this store! Not to mention the recipe! 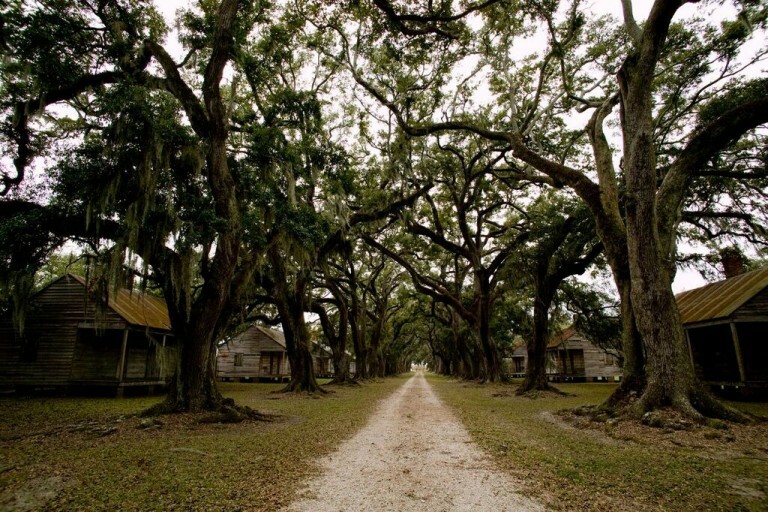 Lots of wonderful info cleverly shared – and, yes, it does make me proud to be a Southerner! Keep up the good work! Great article – Great store! I was recently in Baton Rouge and found The Red Stick Spice Company. What a wonderful place. I left with a bag full of goodies with which to experiment!